சூர சங்காரம் எங்கு நடந்தது? தமிழ் ஈழமா? திருச்செந்தூரா? Skanda Sashti, the sixth day in the bright half of the month of Aippasi, is celebrated in Saivite temples all over Tamilnadu, and with an extra measure of grandeur in temples dedicated to Subrahmanya. Skanda Sasti commemorates the destruction of evil by the Supreme General Kartikeya, son of Shiva, and is celebrated with the dramatic enactment of Soora Samhāram. 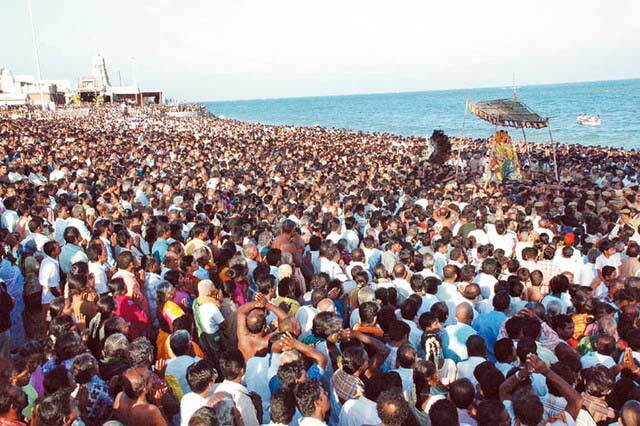 Mention must be made of the grand celebrations at Tirupparankunram, Tiruchendur, two of the six 'Padai Veedu' temples of Murugan. At Sikkal, the festival image of Subramanya receives a spear, from the Ambal shrine, and breaks out in sweat, a day before the climax of the festival. In this article Vijay Raghavan explores the background of this festival. Skanda: Skanda is an ancient deity mentioned in stone inscriptions and shown on coins (1st cent. to 5th cent CE). The story of Skanda is found among others in the Mahabharatha, Śiva Purana and is retold in Kalidasa's Kumara Sambhavam. Chandogya Upanishad identifies Skanda as Sanat Kumara. In Tamil, Arunagiri's Thiruppugazh, Nakkeerar's Thiru Murugātrupadai, and scores of other literatures praise the glory of Muruga in devotional poetry. Lord Brahma the Creator said " only the spark of Shiva can produce the hero who will defeat the powers of the evil" Unfortunately, Shiva The king of yogis was lost in a deep state of meditation and samadhi. None of the Devas dared to disturb him... least of all convince him to create a progeny. 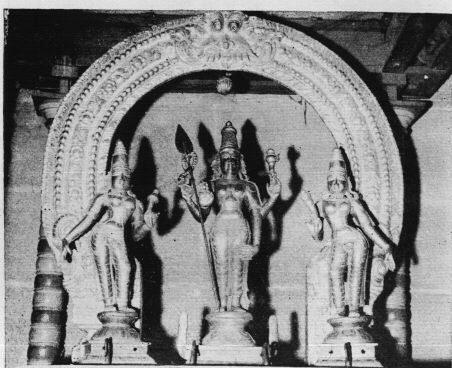 Upon Brahma's suggestion, they sought the help of Parvathi and Kama (the god of love). Parvathi agreed to help and engaged herself in severe penance to attract Shiva's attention. Kama also agreed to help and engaged himself in the suicidal mission of arousing Shiva from His state of Samadhi. 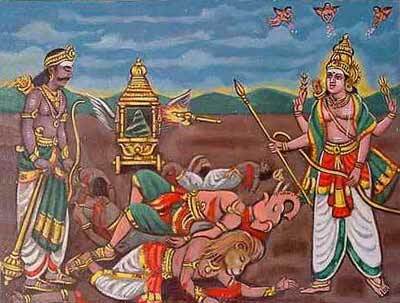 Kama shot his arrows of love at Shiva who was eventually disturbed and the fire of anger from his third eye burnt Kama into ashes. The penance of Parvati and the sacrifice of Kama paid off. Shiva was aroused from his samadhi. However, none could bear the sparks of His fiery seed. It fell into the mouth of Agni, and afterwards received by Ganges, who in turn threw it into Sara Vana (forest of arrow like grass). Thus Saravanabhava was born. He was also Skanda - Shiva's power of chastity preserved through penance. Skanda was raised by the six mothers of the divine constellation of Krittikai (Pleiades). Karttikeya divided himself into six babies to be nursed by six mothers. When Parvathi came and gathered all the six babies, He became Shanmukha - the one with the six faces and one body. Shanmukha became Kumara - the powerful virile adolescent who was also the beautiful and the handsome (Muruga). He was made the General (Deva Senapati) of the God's army. "....Of the army generals I am Skanda.".. (The Gita). Skanda received from his mother Parasakthi an all powerful Vel (lance). Hence He is also Sakthi Velan. He engaged the armies of Simhamukha, Surapadman and Tarakasura on a six day battle and vanquished all of them on the sixth day. The Asuras were annihilated and the Devas were liberated.  The sixth day (Sashti) of the waxing moon (sukhla) in the month of Ashada (Oct/Nov) is celebrated as Skanda Sasti. Indra was restored to his kingdom and gave his daughter Deivayanai or Devasena in marriage to Skanda. In order not to discriminate between the rich and the poor, Muruga also married Valli the gypsy damsel. Corresponding to the six days of the war over the evil forces, devotees undertake fasts, prayers and devotional singing to Lord Muruga. Most of the devotees stay in the temples during these six days. 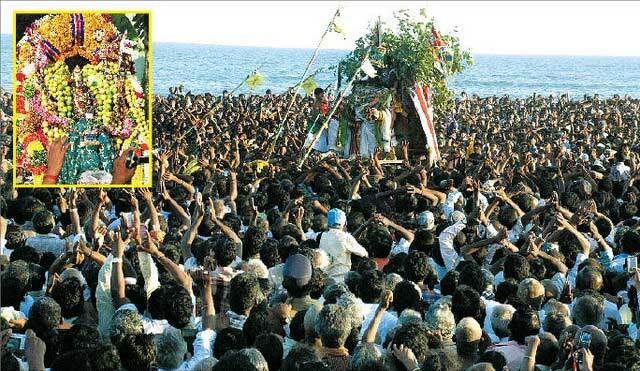 In Tiruchendur and Tiruparankundram events leading to the conquest of the Asuras are dramatized and enacted. 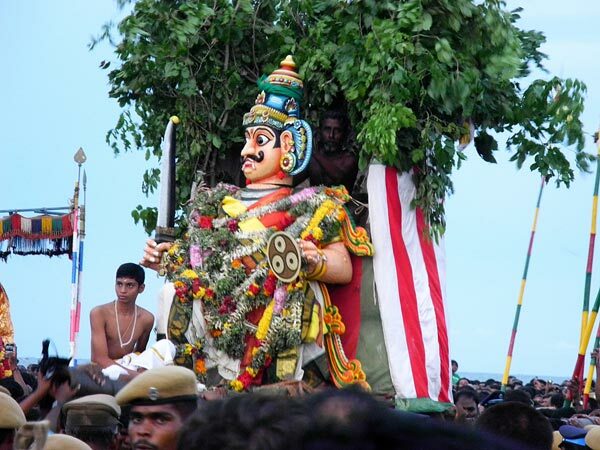 Offering of Kavadi on Skanda Sasti is a form of popular worship. According to Swami Śivananda " the Lord spent His childhood in Tiruchendur and took Mahasamadhi at Kathirgamam. 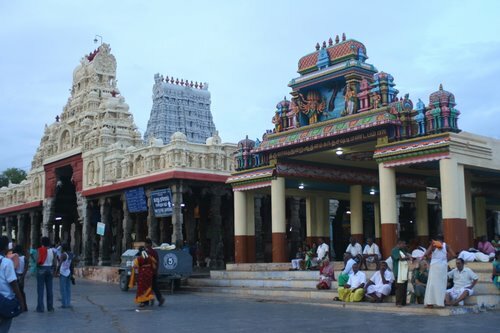 If anyone goes to Kathirgamam (Sri Lanka) with faith, devotion and piety, and stays in the temple for two or three days, the Lord Himself grants His vision to the devotee." For more pictures of Kanda Sasti, go to Kanda Sasti 2011 picture gallery.